If you need a roomy tote bag to carry all your belongings, this round tote bag pattern makes a super cute, bright bag, perfect for the summer season! The round tote bag pattern is finally here and I can tell you, this adorable rounded bag will become your go-to bag this season! 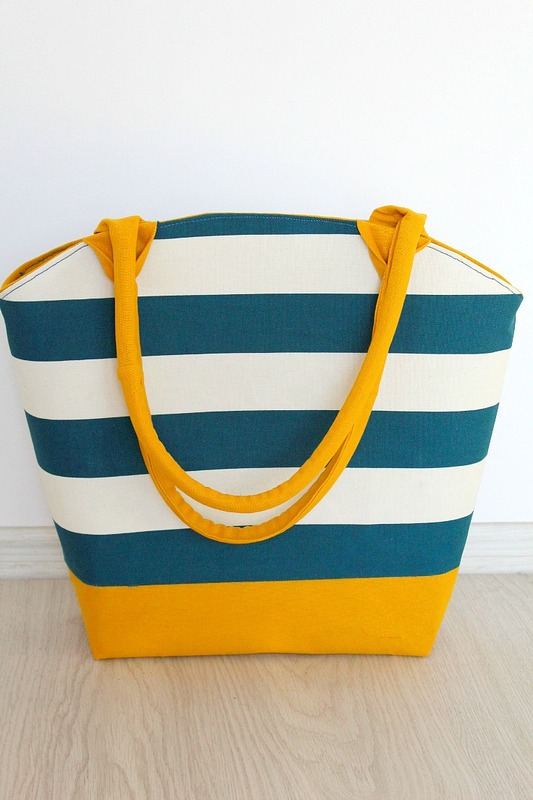 This canvas tote bag makes a great, super roomy bag, perfect for carrying all your important stuff but it could also be an awesome beach tote or a wonderful gift idea (think Mother’s day!). I know the world might not need another tote bag pattern but this comes with a twist: a rounded top and it’s also a super sturdy bag. This round tote bag pattern is made with canvas on both the exterior and interior. I also used a really stiff interfacing which you can order here if you like to make a similar bag. While this round tote bag pattern may look like a simple tote, the fabric choice, the rounded top and the interfacing will make this bag truly stand out! And have I mentioned its got corded handles? You can find the corded handles tutorial here. And if you are not very familiar with sewing with canvas you’ll find that these canvas tips are very handy. This round tote bag pattern is not a beginners project but I wouldn’t call it intermediate either, it’s just in between these, so a little experience in sewing bags, using interfacing, a zipper foot and heavy duty fabric are a plus. Something I’ve learned while making this round tote bag and you should keep in mind if you plan to make one too: if you’re using the same interfacing as I did which is super stiff, it’s best to fuse it up to the seam allowance so when you sew the bag up, your needle will only have to go through the fabric, not the interfacing, making your project much easier. Roomy enough to carry a tablet or even a small laptop but smart enough to use as a purse! The pattern is available to purchase here or get it free when you join my newsletter! Did you like this tutorial? Comment & Rate it! Umm, following the above link above takes me to a page where I have to pay for the pattern yet at the beginning of this blog it says the pattern is FREE. Hi Bev! The pattern used to be free for everyone and is now free for my newsletter subscribers only! I’m a bit late commenting, Petro. Love the shape of this bag! 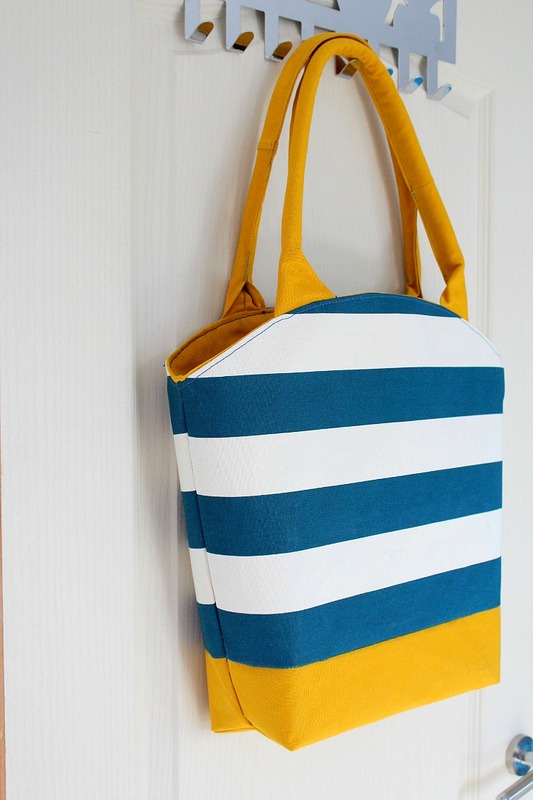 The stripes and colours make it a perfect bag for Summer. 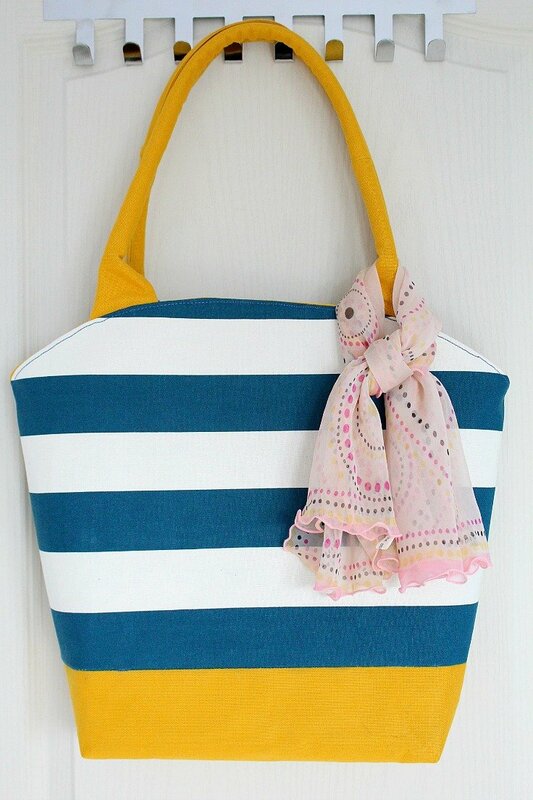 I’ve showcased your fab tote today. Awesome tote bag pattern! 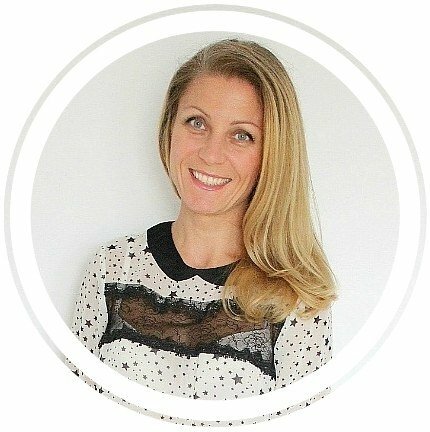 Thank you for sharing with my readers!! I just published it! !